This project was the first custom house I designed after starting Diana Bellgowan, Architect — and it’s still a favorite. 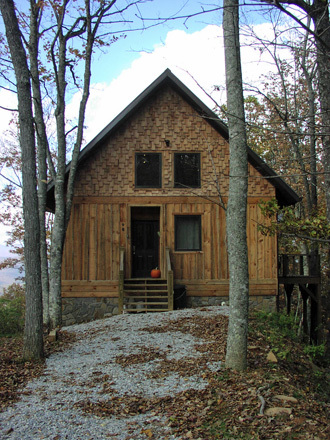 The house sits atop a low ridge that overlooks the Tuckaseegee River on one side and the Great Smoky Mountain National Park on the other. The owners wanted a small retreat far from the bustle of Atlanta, a place that was true to the beauty of the mountains, and set gently upon the land. The form of this house evokes a traditional style called a “dogtrot” that originated here in Southern Appalachia. 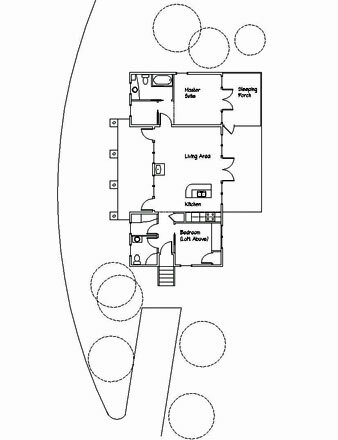 It has a long, graceful plan with a continuous roofline, but where a true dogtrot would have an open breezeway in the middle, this house has an inset porch with a glass wall that leads into the great room/ living area. 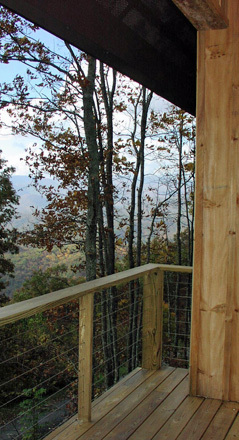 The house was sited so that the ridge of the house follows the ridge of the mountain and the porch and deck open out to stunning views on each side. 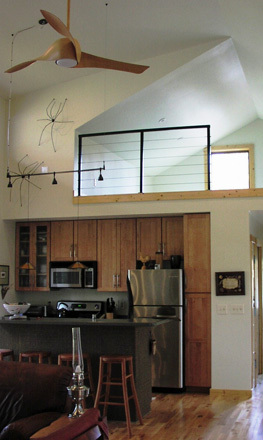 I am really proud of the simple elegance of this home, the living space is cozy and light and airy at the same time. But my favorite detail is in the master bathroom, where we decided to locate a picture window over the sink (and placed the mirror off to one side) to allow the owners to enjoy a spectacular view of Clingman’s Dome as they prepare for each new day.